Many a man has experienced this moment. One morning, out of the corner of their eye, they notice a streak of something silver. Something that wasn’t there yesterday. Something that shouldn’t be there now. And while popular culture is filled with images of handsome gentlemen with salt and peppered or all-over silver hair — celebrities such as George Clooney, Brad Pitt, Mark Ruffalo, Pierce Brosnan and Anderson Cooper — that first gray hair can be shocking. In fact, it motivates many men to do something they had never previously considered — coloring their hair. 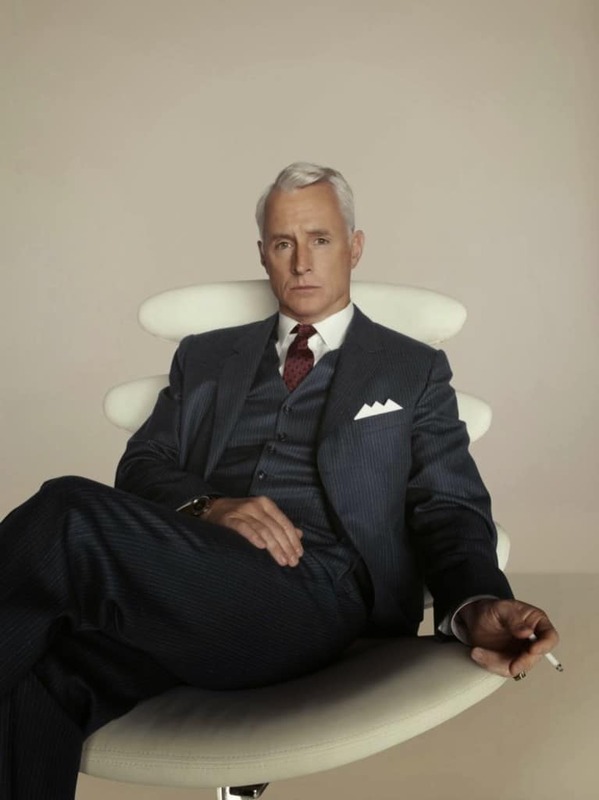 Perhaps the most iconic silver fox on the small screen in recent years has been John Slattery as the inimitable Roger Sterling in the award-winning series Mad Men. Actors including George Clooney and Brad Pitt have aged gracefully, morphing from young hunks to elegant older gentlemen by keeping the silver strands that started to appear in their hair and stubble. 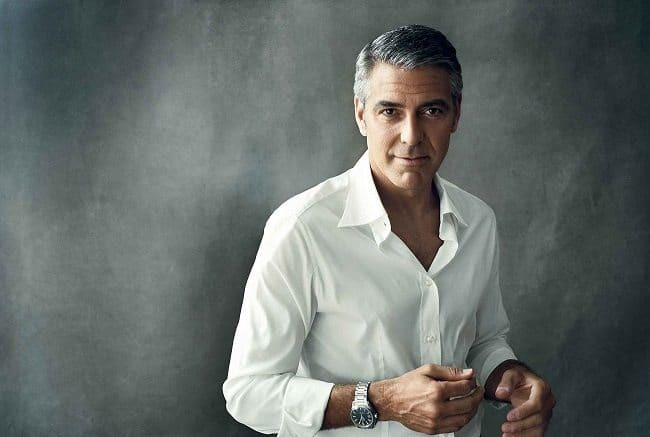 For guy who aren’t into the Clooney style salt and pepper look, or cannot face the idea of being a full-haired silver fox, there are plenty of options that do not involve cutting eye-holes into a brown paper bag! Primarily, using color to help disguise or cover the gray hairs. The team at 18|8 have seen many a client at the salon, sitting in the chair looking terrified at the prospect of coloring their hair. But even for first-time dye clients, coloring is a relatively simple and totally painless process. It is just important for guys to know what their options are, and communicate what it is they want clearly to their colorist. Here are our tips for guys who want to help disguise their silver strands for the time being. Guys should always talk with their colorist about the effect they are looking for — whether their preference is to blend away the gray or have 100 percent gray coverage. At 18|8 we consult on a case-by-case basis, but we often highly recommend gray blending over 100 percent coverage, particularly for first-time color clients, or men who are just experiencing their first few gray hairs. Be sure to consider the maintenance required for all-over color — because all-over dyed hair will grow out and experience a visible line of demarcation, similar to brunettes who go blonde and experience regrowth or dark roots. If all-over color is the preference, it is important not to go “too dark” as it can tend to look artificial. So guys should be open to dyeing their hair a few shades lighter than it was in their pre-silver days. Remember the hair upstairs isn’t the only place those shiny little silver hairs will show up. If you are known for that glorious mustache or don’t want to part with your signature goatee, opt for grey blending so you can minimize the greys on top but the contrast between the grey in the beard isn’t so stark. Image 1: Courtesy of www.menswearstyle.co.uk. Image 2: Courtesy of AMC.